15% off on New Mobile Apps during this Month Only. With our 10+ years of top-notch experience on mobile application development, our developers can complete your dream product as per your business requirements. If you're planning to develop an APP then get in touch with Qvantage Team today! With our 10+ years of experience and knowledge on website development, we develop user friendly, all browsers and all devices compatible websites. Let us know your business needs in detail so we can help you come up with a solution and start out quickly. 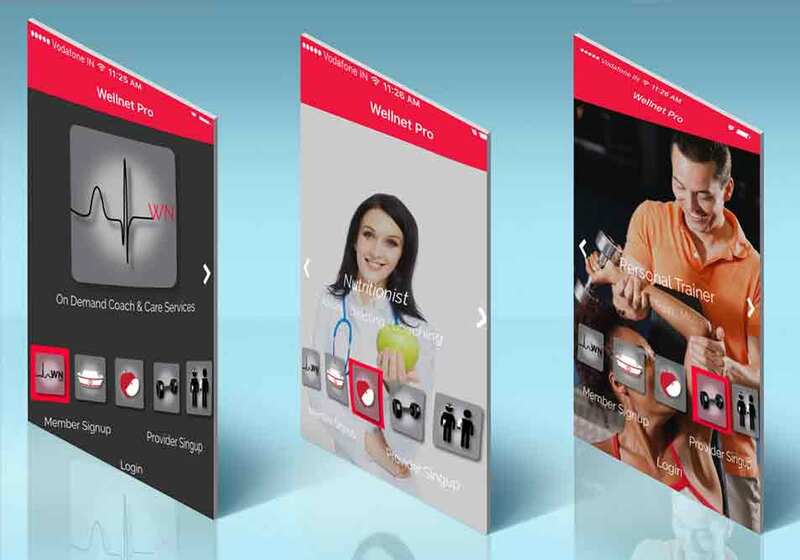 Download WellnetPro App for free to get health care services. Expert medical professionals (nurses, nutritionist, physical trainers, physiotherapists) are a finger tap away. A nurse, nutritionist, physiotherapist, or a physical trainer can download this app and sign up to work at your convenience. As our app members request health care services you will get a message on your mobile phone with friendly audible notification to either "accept" or "reject" the requests. Signup and "accept" calls today to make extra money! 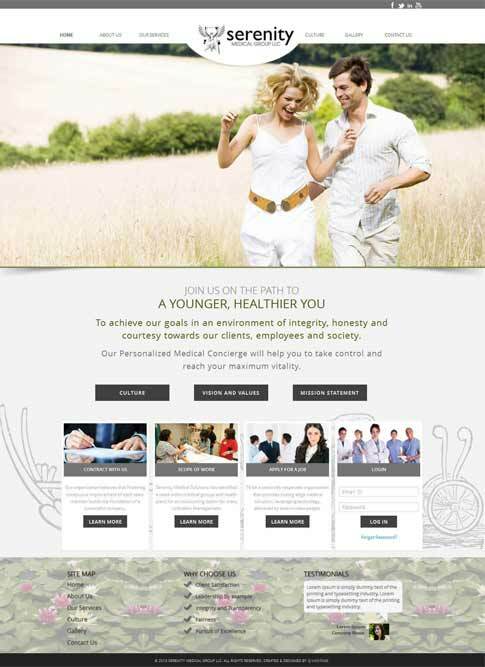 Serenity medical group was founded by friends from diverse backgrounds with a single vision to serve the medical needs of their local communities. The highly skilled team is equipped to provide innovative medical services for changing health care system. 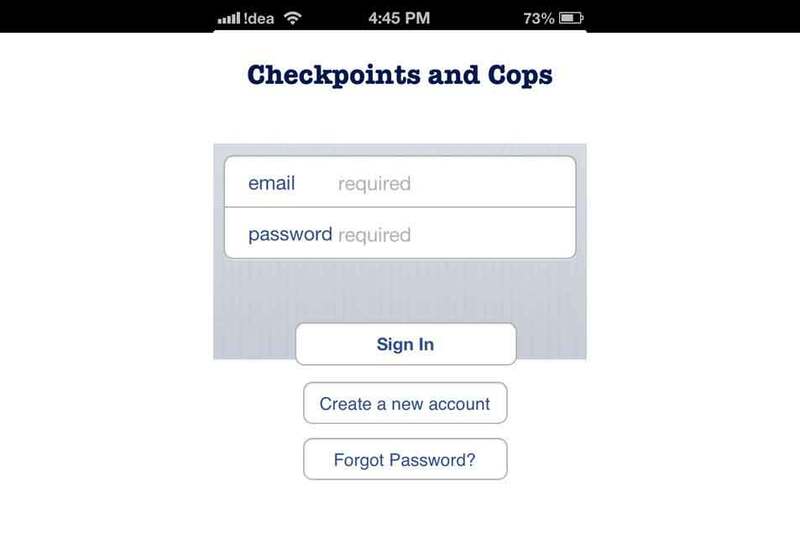 An iPhone app which provides and receives instant updates on traffic stops, police checkpoints, booby-traps, high patrol zones, cute police officers, bars/clubs with high patrol activity, ticket prone freeways along with search near by feature. 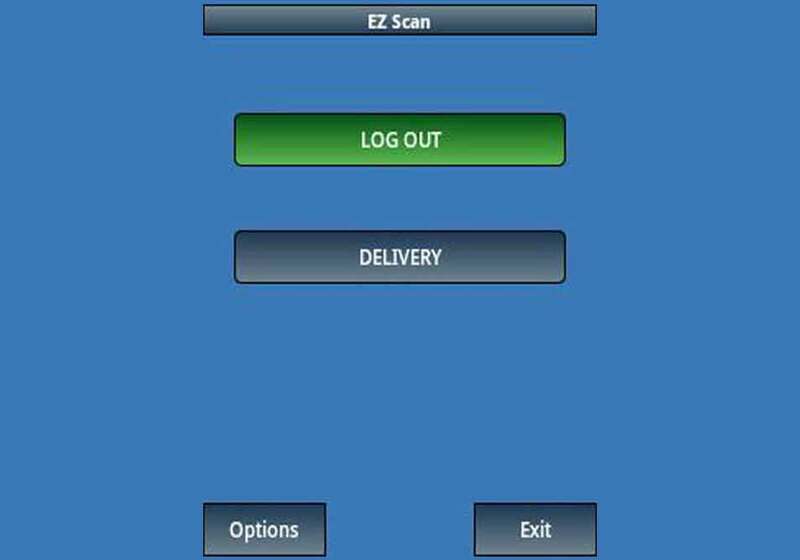 This is an Android and iPhone based mobile app that is used by a logistics company to deliver letters and packages, obtain signatures, and capture coordinates thereby streamlining the entire logistics process. 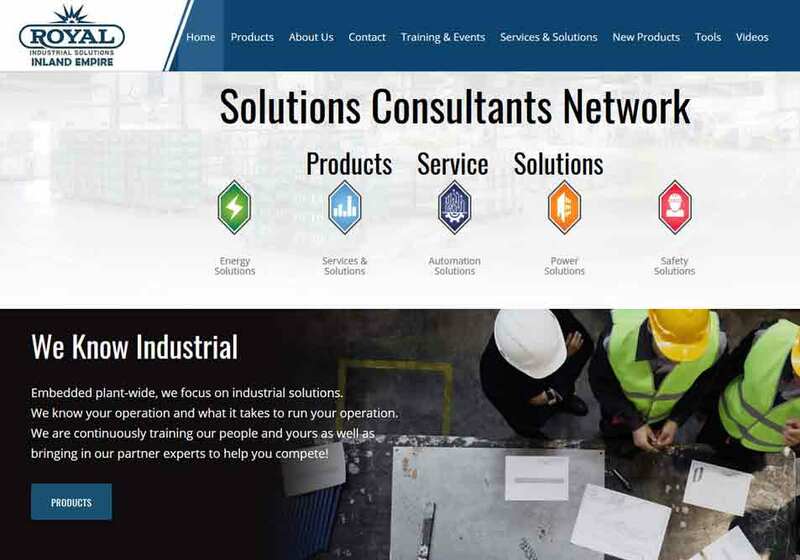 Royal Industrial Solution Inland Empire is a industrial electrical solution business website built using .NET framework website development. Whether you need emergency parts or service, they can help! You can request an emergency dispatch for field engineering service, request after-hours emergency access to Royal Industrial Solution's inventory, or request an overnight exchange on a failed unit. 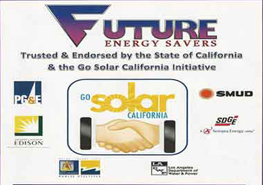 An iPad application that provides energy saving tips along with different power saving products for daily use. An online user can request for information regarding power saving by providing some basic information like his monthly power bill etc. 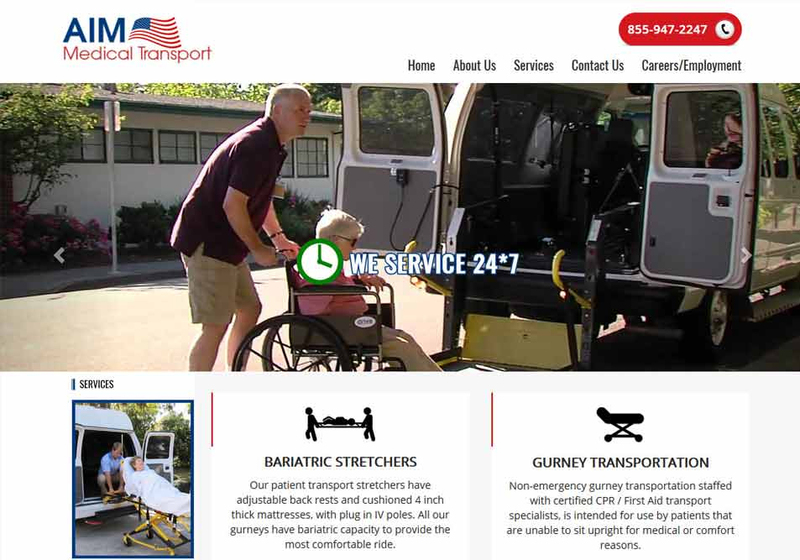 AIM Medical Transport, Inc. is based in Riverside, and benefits from over a decade of experience at the hands of our management team. 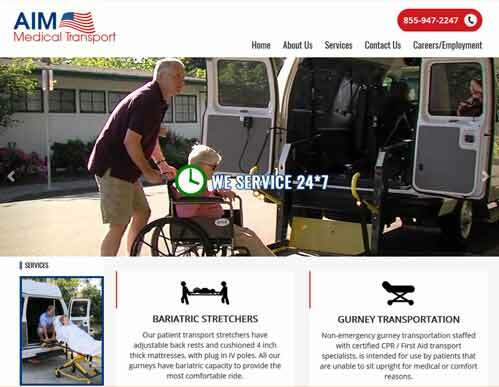 We provide transportation services to any location in California and with the necessary approvals, to locations out of state Our staff is carefully screened for driving safety and background, so you and your loved ones feel at ease with our team. They are trained to deliver the highest standards of service and safety, both behind the wheel and while transferring our riders. Our fleet is continually maintained and updated so our riders can enjoy safe, reliable and comfortable trips. The equipment is sanitized after every use, and vehicles are inspected daily before every shift. 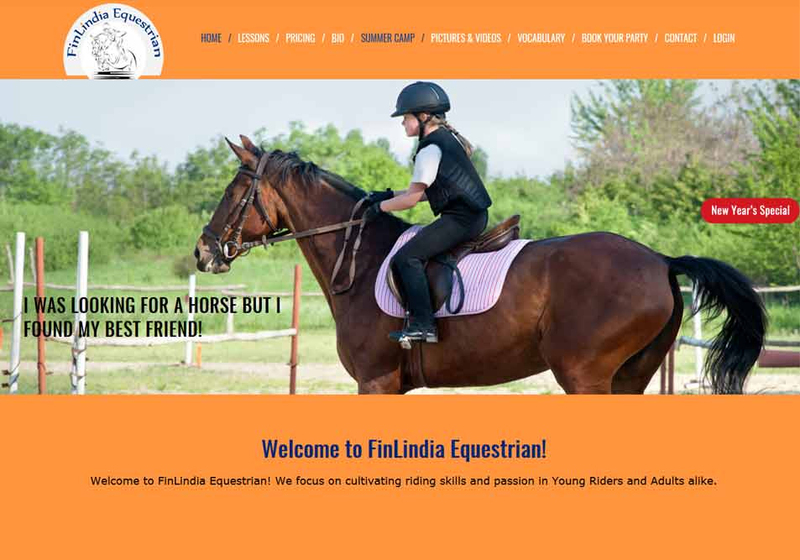 Peggy Kuparinen Bajwa is an English Equestrian riding instructor who began riding horses at the age of 10 in Rancho Mirage, California at Equestrian Centers International (ECI). 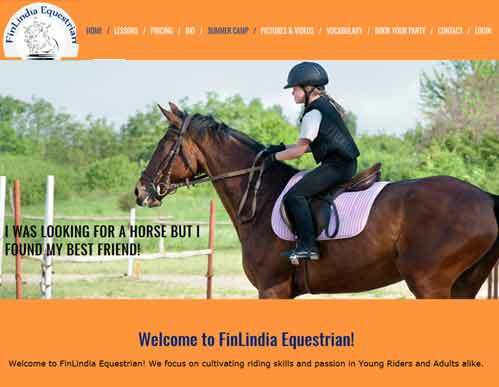 Peggy's family has had a long love affair with horses that started in the late 1800's in Finland, where her great grandfather raised trotters for harness racing. 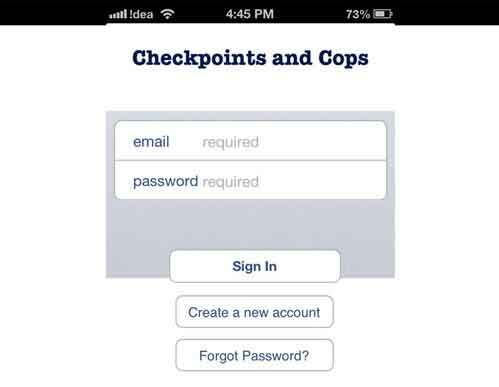 Get your Mobile App, SEO, Website, Mobile Commerce today BUT pay in 6-12 months. Pay as you Go! Call today to learn more! Qvantage creates long-term partnerships with its customers by putting forth value propositions and by delivering customized solutions combined with unshakeable commitment to quality and satisfaction. Q-vantage offers custom mobile applications and websites at affordable prices. Contact us today to get a quote and to learn how our expertise can be a business driver for your organization. 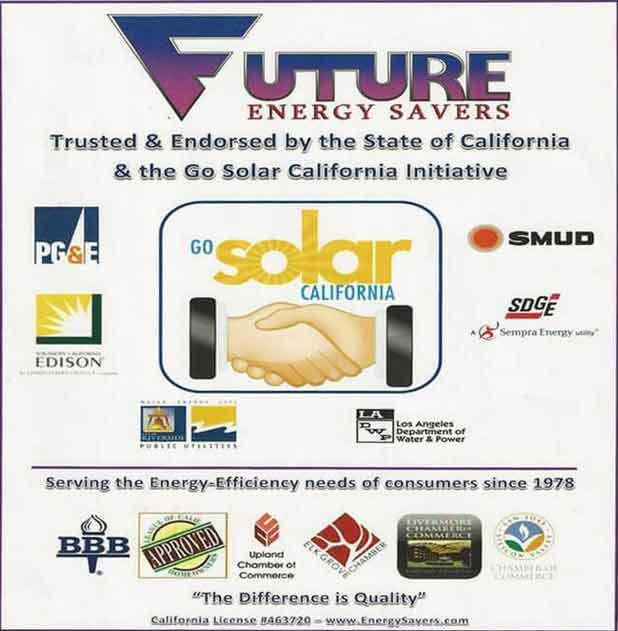 We also provide services in Riverside, Corona, Los Angeles, Upland, Orange County, Irvine, Anaheim, Costa Mesa, Newport Beach, Pasadena, and Phoenix. © 2004-2018 Q-vantage.com. All Rights Reserved.